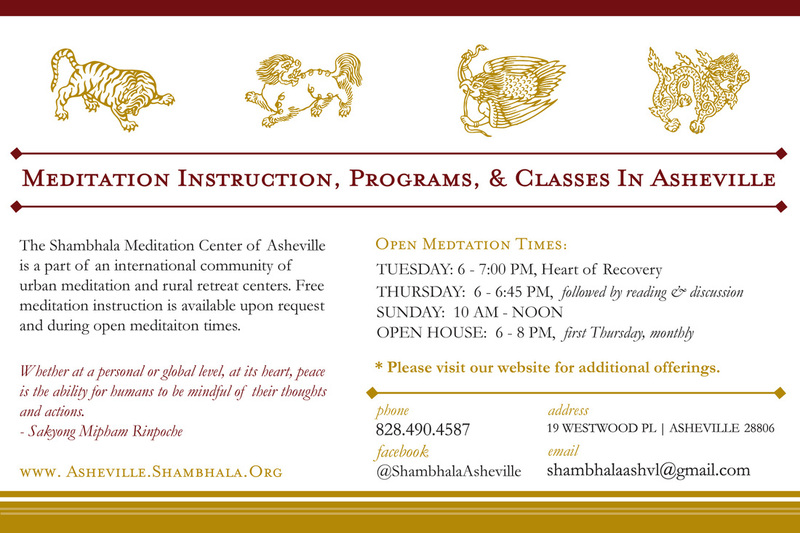 This postcard was designed for the Shambhala Meditation Center of Asheville as a take away for the general public. 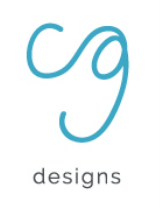 The goal was to create a clear and concise promotional product that provided pertinent information about the organization as well as the general iconography and pleasing images. 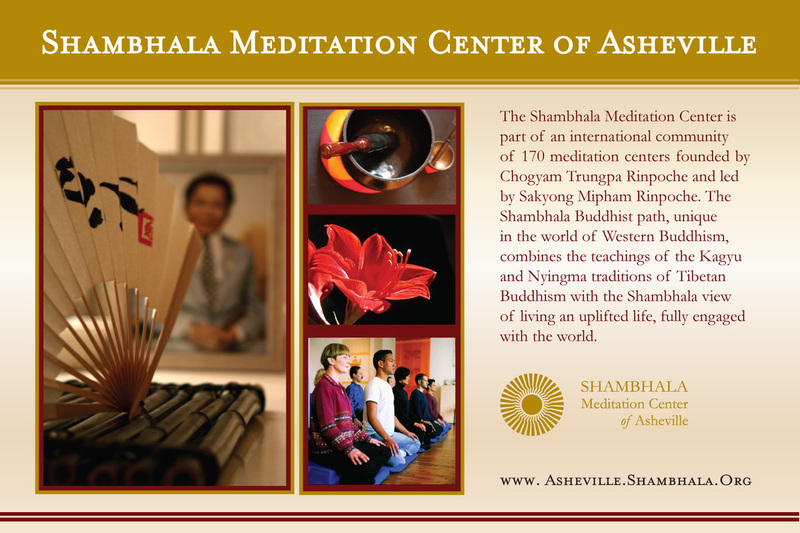 Over time more collateral was created to fulfill the Asheville Shambhala Center's needs. 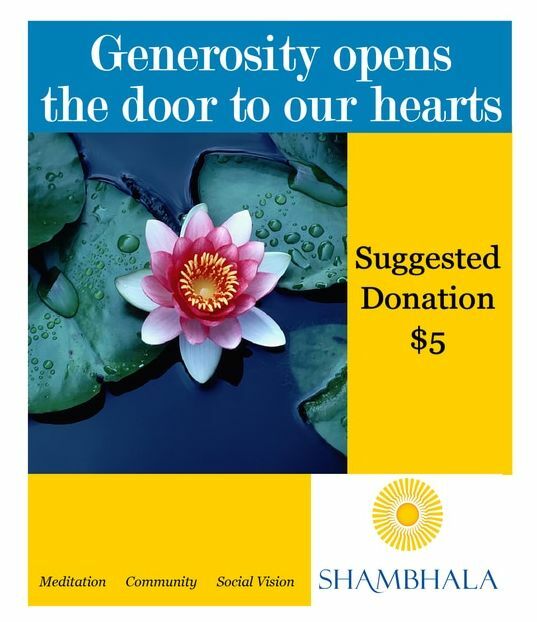 Some designs were simple signage such as the donation sign which is displayed prominently, others were created for in-house marketing such as the New Year's Party event flyer, and still other designs were created to reach an even broader audience. 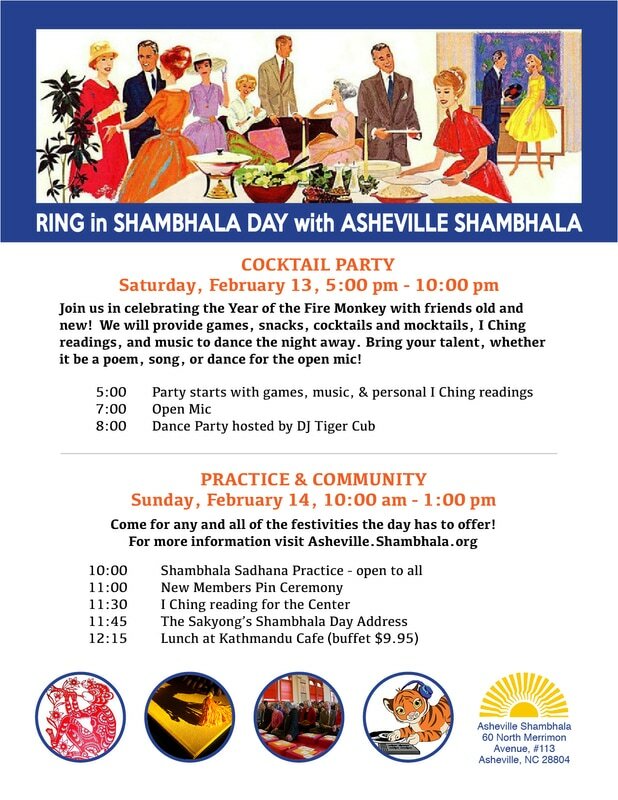 The branding specifications for Shambhala International were maintained throughout.